A friend asked a great question this week. What's the difference between coconut butter and coconut oil? 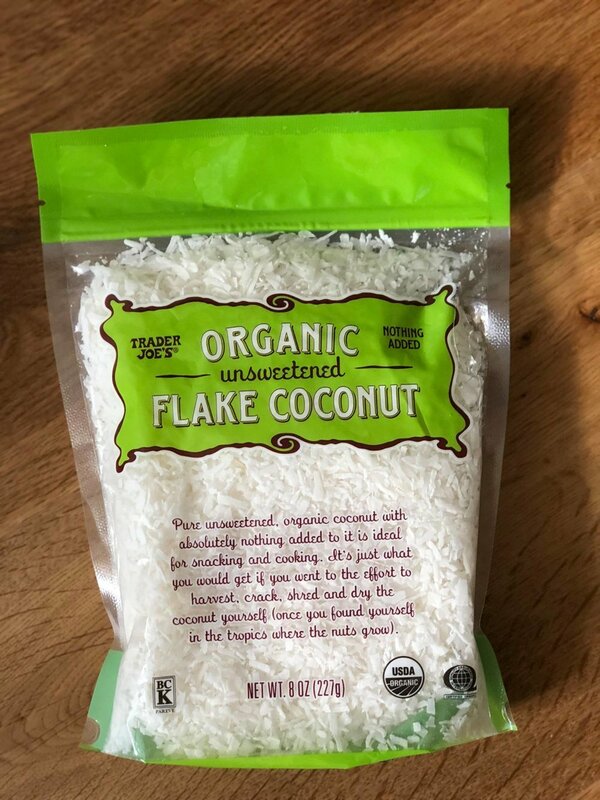 Both are great sources of heart-healthy MCT oils (Medium-chain triglycerides), but where they differ is coconut oil is the oil extracted (or "pressed") from the coconut flesh while coconut butter is simply ground coconut flesh. Coconut oil is great for cooking, baking and in hot drinks like Bulletproof coffee or the morning Tea Shake I shared last week. On the other hand, coconut butter can be used just as you would any nut butter. It is great when trying to limit sugar in your diet (aren't we all) because it is naturally sweet to taste. Drizzled on oatmeal, blended in your smoothie, with banana on a rice cake, or by the spoonful directly into your mouth. But here is the kicker, while delicious, coconut butter is expensive!! My favorite brand is usually $11.99 a jar. So, I have found a super easy and economical way to make your own. Follow along to see how I made 2 pint jars for a grand total of $4! Gift giving done easy! Place both bags in a food processor and let it work its magic. Stop periodically to scrape down the sides. I like to add a splash of pure vanilla and a pinch of sea salt. The whole process took me about 5-6 minutes to get to creamy perfection. Pour into mason jars and place in the fridge to firm up. Tie on a bow and you have a delicious and gorgeous homemade hostess or holiday gift that your friends will love! Enjoy on a rice cake like this little messy-haired snack monster! Who wouldn’t want this in their stocking?